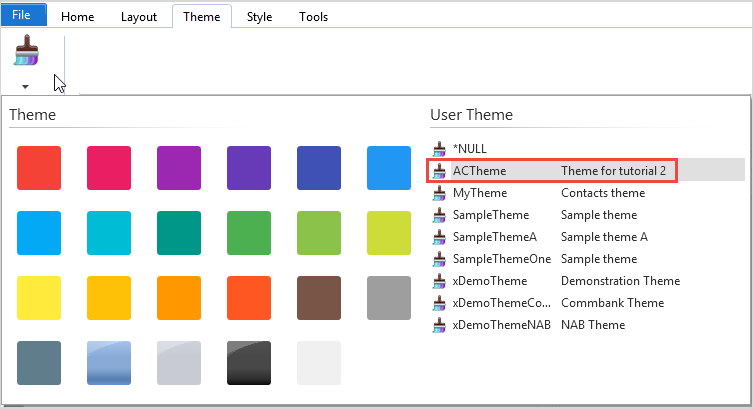 To apply a theme to a component, open the component and switch to the Theme tab in the ribbon. The design theme's draw styles are shown in the ribbon. The selected theme is applied to the Theme property of the component. Themes can also be applied programmatically. In addition to the global theme, theme control draw styles are applied to controls.